Matt and his friend James set off in a homemade (by James) canoe to explore the rivers and waterways of Britain. The canoe named the “Pipe”, and a smaller craft “Pipette” that Matt later buys “at mates rates” to do some solo exploring, take the pair on some entertaining adventures. The two initially naive canoeists learn fast from their experiences and mistakes to become more experienced waterman and along the way explore both the slower and faster pace of the watercourses they encounter, as well as the conflicts between users and the natural environment that they at times literally occupy. It doesn’t pull any punches with some of their experiences either. It isn’t just a gentle exploration of the natural environment. There is plenty of evidence as to how we as the human race have adapted, altered and spoilt this essential element of the natural world. 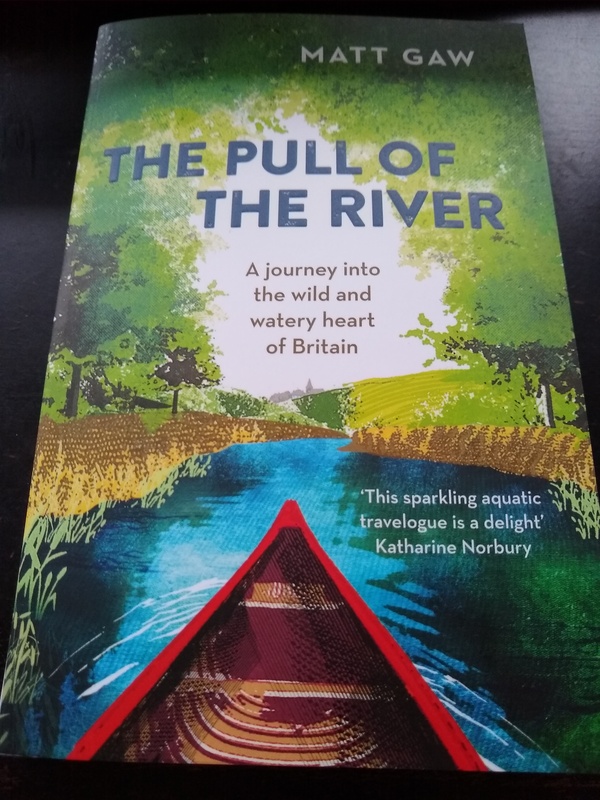 The book has a well researched backstory drawing on the likes of Stevenson, Roger Deakin and others to tell some of the history, myths and facts of the rivers that they set out to explore. It has at times almost poetic prose in describing the natural world; the Barn Owls, Kingfishers, Otters, Beavers and even the infamous “Nessie” (spoiler: there’s no sighting). This is the authors first book, and I would have loved it to continue on some of the rivers that I am more familiar with. If you are a lover of books about nature, or waterways then you’ll enjoy it too. Similarly if you have an interest in canoes, although not if you are expecting a lot of technical details or long explanations of the building of the Pipe. This entry was posted in Book Review and tagged adventure, book review, canoe, nature, Travel, water. Bookmark the permalink.